Survival narrative meets scientific, natural, and social history in the riveting story of a volcanic disaster. For months in early 1980, scientists, journalists, and ordinary people listened anxiously to rumblings in the longquiescent volcano Mount St. Helens. Still, when a massive explosion took the top off the mountain, no one was prepared. Fifty-seven people died, including newlywed logger John Killian (for years afterward, his father searched for him in the ash), scientist Dave Johnston, and celebrated local curmudgeon Harry Truman. The lives of many others were forever changed. 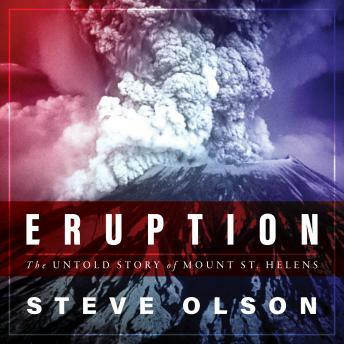 Steve Olson interweaves history, science, and vivid personal stories of the volcano's victims and survivors to portray the disaster as a multifaceted turning point. Powerful economic, political, and historical forces influenced who died when the volcano erupted, and their deaths marked the end of an era in the Pacific Northwest. The eruption of Mount St. Helens transformed volcanic science, the study of environmental resilience, and our perceptions of how to survive on an increasingly dangerous planet.